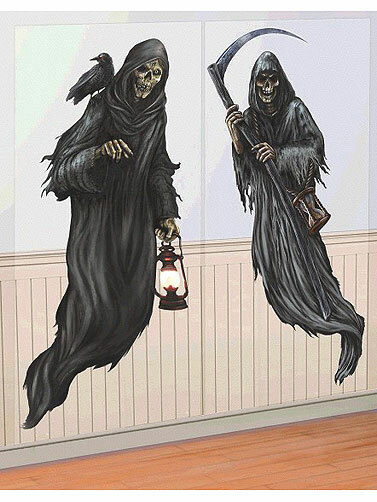 Scene Setters Cemetery Spirits Add-on features grim reaper spirits that will compliment your Halloween cemetery scene. Includes two giant images printed on transparent plastic. Images will need to be cut before using. Reusable and safe for outdoor displays. Hang with your adhesive, or with Sticky tack, sold separately. Scene Setters - Cemetery Add-On measures 65"H x 33.5"W.